Also known as 'open combustion gas fires', our conventional flue gas fires are available in a variety of styles - including freestanding stoves, traditional hearth-level insets and hole in the wall fires. Ideal for rooms with a functioning chimney (required for waste gases), a conventional flue gas fire from Nexus is a tried-and-true way to warm the heart of your home. 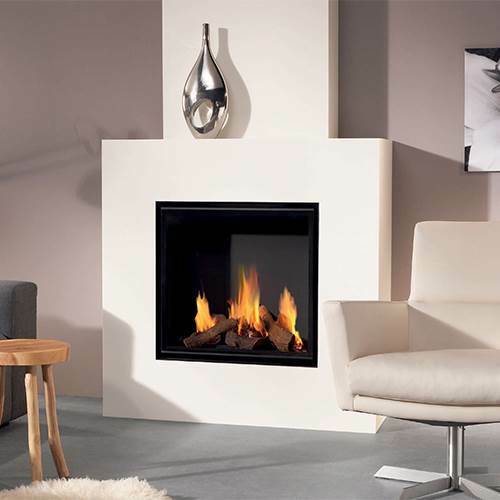 The Nexus range includes conventional flue fires by Gazco, Dru and more. Choose black, white, brass and polished steel finishes, and a variety of fire bed options. Now's the time to call us at 0116 274 4059 - let's find the right fire for your home today.